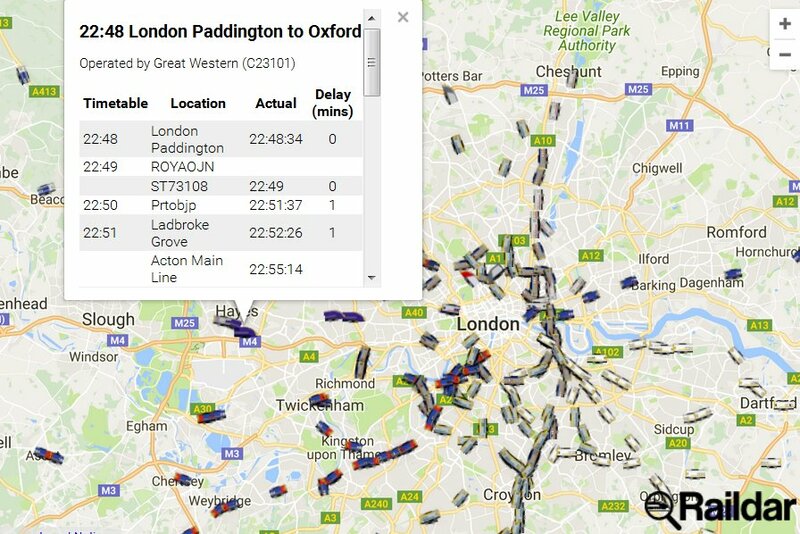 We have had our attention drawn to another website that shows public transport movements in real time. 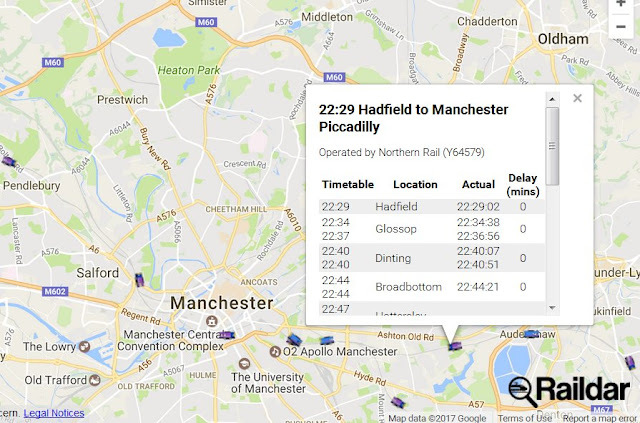 This one is called Raildar which tracks all passenger train movements in the UK. Zoom in and you will observe coloured icons that show all active trains in that area. 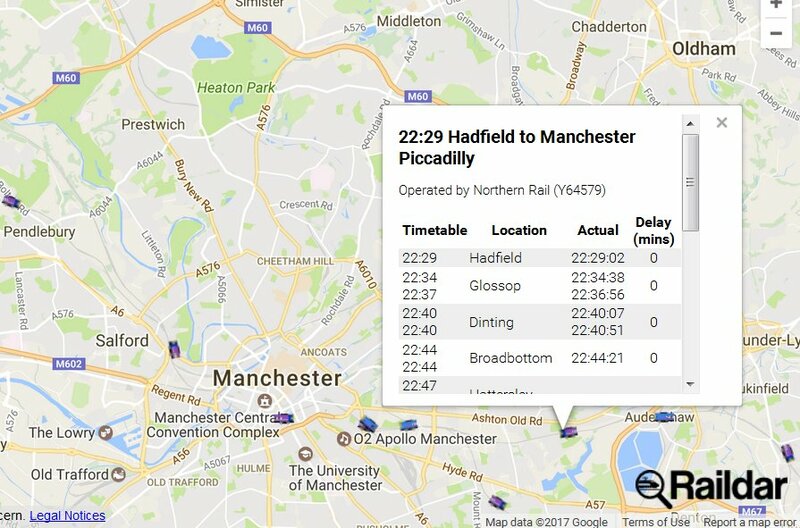 Click on an icon and a list of timings for that particular train appears together with any delay minutes. 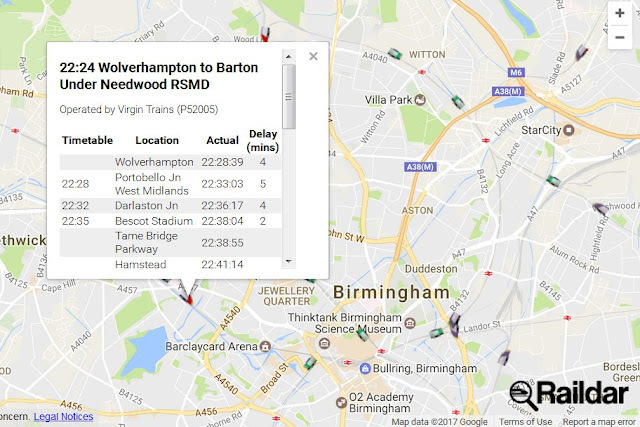 The site is uncomplicated and seems to work well with pages loading quickly.